About a year ago, I bought a used IPAD from a friend. I was told upfront th at the screen was cracked. All along the left hand side of the screen was cracked. It was bigger than I expected but I was committed to get it fixed right away. For the first few days, it’s all I thought about when I tried to use it. It was right in my face. It seemed to be staring at me. It was the first thing I noticed every single time I used it. No matter where I looked, it taunted me and contorted my view of the pictures on the screen. I couldn’t wait to have it fixed now, but I needed to delay it for a few days. I had a lot on my plate, so I planned to take it to get fixed the following week. But within a few days, the cracks began to fade into the background. A week later, and I’d all but forgotten the cracked screen. In those few short days, I grew accustomed to the cracks in my window. I compensated for them. I accepted them and the distorted view that came with them. What had once been an obvious, irritating distraction became familiar enough that I looked right past it. It was almost like it wasn’t there. It’s like looking through glasses with a broken lens. It distorts our view. We don’t see things as we should. An obvious lesson here is that when we ignore small problems, they grow bigger and spread. When we avoid paying the smaller cost today, we’ll likely pay a larger one tomorrow. But there’s an even more important lesson for me. Maybe for you too. Where else am I looking at my life through broken glass? Good and bad, what’s true about me that I refuse to see? What’s in my way that’s obvious to everyone but me? This week I found some things that I have been ignoring. The cracks and broken pieces of perspective have come back into focus to show me where I have been living in denial. I have been living my life by not acknowledging the obvious. The issues associated with growing old and having serious health problems belonged to someone else and surely not me. My mind and eyes adjusted so quickly to my bad situation that I no longer even saw things as they were. I ignored the problem so well that I didn’t see the thing right in front of my face obstructing my view. I looked past it, even as it worsened. It became normal to me. I have been living there, in denial, for a while now. I have a serious problem with high blood pressure and I have diabetes. No matter how much I would like to deny that these issues are true, I cannot stop them from affecting my life. Last week I was having chest pains. You would think I would have said something to my wife but I didn’t. I couldn’t rest and I couldn’t sleep. 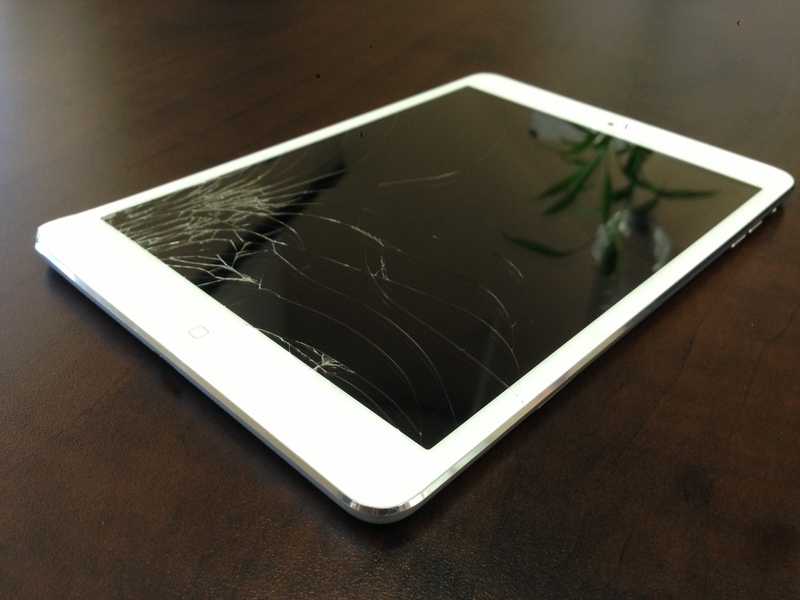 Much like the crack on my IPAD, after a few days of pain I just looked past them in ignorance. The more I tried to ignore the increasing pains and pressure in my chest the more I started having this sinking feeling and thoughts that I was soon to die. I thought of impending doom. Still I did nothing. Denial and pride kept me from reacting to what my body was telling me. After almost a week of this I finally gave in. I could no longer deny that something was seriously wrong. I sent a text to m y wife and told her that I was having issues. I soon found myself heading to the ER. When I got there I was immediately rushed in to the cardiac unit. 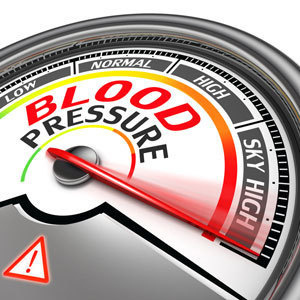 Initial tests showed that my blood pressure was “sky-high” as the doctor put it. I was about as close a person can get without having a stroke or a massive heart attack. The reason for why this was happening was still lost to me but was obvious to the doctors that were treating me. I was soon going to get a real clear picture of why I was in the hospital and in the condition I was. It was painfully obvious and acknowledged that I had not been taking my medications the way I should have. My broken “lens” was ignored and I looked past these health issues as if they belonged to someone else. They had to bring my blood pressure down slowly so as to not induce a stroke so I was subjected to a few days of tests and treatment to bring it down and get my diabetes under control. I can no longer look past these medical issues. The good news is that my heart is in pretty good condition considering it’s owner. No blockages and the potential of stopping any more damage if I can get back on the path of good health. I want to live another 30 or so years, and it was made real clear that I that will not happen unless I make some changes in my life. I am home today… still having residual chest pains that will go away with continued treatment as prescribed. Reminders of a fool who still viewed his heath problems through a cracked lens. The signs were all around me. I just never let myself see them. I have to ask myself some real important life questions. Where else am I looking at my life through broken glass? Good and bad, what’s true about me that I refuse to see? What’s in my way that’s obvious to everyone but me? These are painful questions to wrestle with, and trust me, I’m aching having gone a few rounds with them. But who wants to live a life seeing things as they aren’t? We all need to see our circumstances as they truly are. We cannot continue to look at life through a broken lens. Our challenge is to not ignore what’s broken. If life isn’t shaping up as you’d hoped – If you’ve been circling back to the same person or problem again and again – If you’re in a destructive relationship – especially if it’s with yourself. Maybe you’ve got a crack in your window. Maybe there’s something right in front of you obstructing your view, keeping you from seeing things as they really are,keeping you from being who you were meant to be. What is it? It’s not a mystery. It’s in plain sight. Once we name it, we can deal with it and move on. So, go a few rounds with these questions that are taking me to the mat. 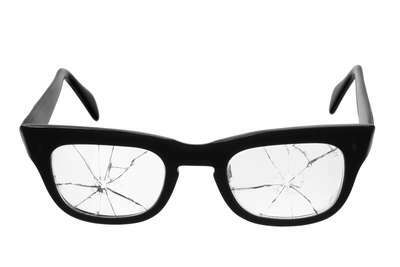 Am I viewing my life through a broken lens? What does it keep me from seeing about myself? What am I denying about the circumstances I’ve created? What old pain have I grown accustomed to and embraced? What if I laid it down? What would be possible if you could see yourself and your circumstances as they truly are? Answer them before it’s too late.